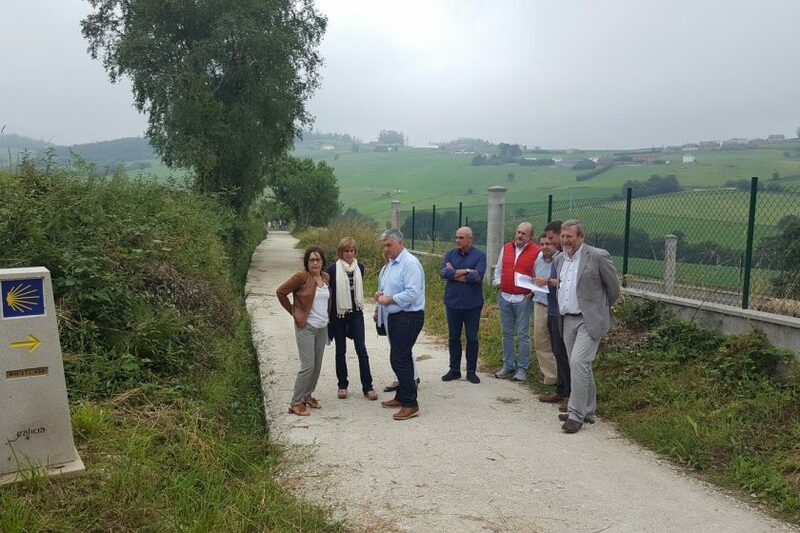 Today, Turismo de Galicia Director Nava Castro visited the signage and improvement work carried out along the Northern Route of the Way of St. James, which celebrates its second anniversary as a UNESCO World Heritage Site on Wednesday. The area involved spanned close to 200 kilometres and work took several months. This pilgrimage route, which is attracting a growing amount of interest, is now more accessible and safer. The actions along the Northern Route included 16 municipalities in the provinces of Lugo and A Coruña. They consisted of three types of work: adding new signage to make it easier for pilgrims to find their way, restoring the route along those sections which required it, and improving drainage to prevent situations which would make the pilgrimage more difficult. The total investment required to complete the work was over 2.3 million euros. In terms of signage, more than 900 stone milestones were erected, each indicating how many kilometres remain between the pilgrim and their goal in Santiago de Compostela. Also added were 200 ceramic shells with arrows on horizontal surfaces and another 20 bronze shells. In addition, information signs were installed at the various forks in the Camino and along alternative routes. In order to ensure that pilgrims do not encounter problems when travelling the route, clean-up, clearing and restoration work was carried out along sections of the Way of St. James that had been blocked by vegetation. Furthermore, those stretches that were in bad condition, making travel difficult, were repaired using materials with similar characteristics to those already found in the area. And lastly, in cases where the path has a steep gradient, it was stabilized using materials that will guarantee proper conservation in the future. A third area of attention involved drainage improvements. To this end, ditches were cleaned and stone elements such as culverts, channels and protection along the edges of the path were placed to prevent water from damaging the route. Previous Post:How to play your Camino? Next Post:Who may do the St. James Way?